-cut troll up into bite sized pieces & add to pot. -add water, meat tenderizer & sugar; stir. 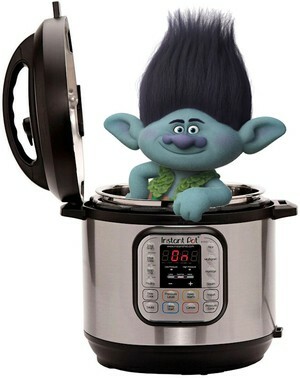 -don't waste good broth on a troll, just use water. -some trolls are extremely bitter so you may need to add extra sugar. -some trolls are very tough & may require extra tenderizer and/or cook time.